Q: There is no display ( or Dim Display) on my laptop screen but I still could see all the icon on screen, What cause this problem? A: The reason cause this problem could be defective backlight lamp or inverter board. The easiest method to isolate the problem between backlight lamps or inverter board would be connecting a good lamp to the inverter and turn on your laptop computer, if lamp lights up, then the problem should be backlight lamp. Otherwise, it could be inverter board. However, in some case, the defective motherboard will cause the same symptom. Q: In troubleshooting my dell inpsiron 500, the fluorescent bulb flashes once Red and then goes out. What cause the problem? Q: When CCFL backlight reach its end of life, it usually cause the laptop screen flash on in red and goes Off. So, replacing a new CCFL lamp will solve the problem. Q: My laptop computer work fine with external monitor but there is no display on laptop screen? A: It could cause by defective Backlight lamp or Inverter. 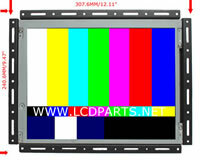 Q: My LCD TV does not have picture but I get sound? A: Please check the power indicate light while LCD is on, If the light stays on, then, your backlight inverter is defective. However, in some case, the defective backlight lamp will cause the same symptom. 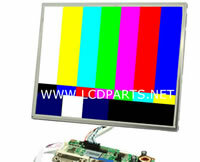 Q: My LCD Monitor does not have picture, Does it cause by backlight inverter? A: Please check the power indicate light while LCD is on, If the light stays lit, then, your backlight inverter is defective. However, in some case, the defective backlight lamp will cause the same symptom. Q: My screen had been completely dimmed out though you could see the screen was working if you used a flashlight. I ordered and installed the MoniServ Inverter Board. The screen came back to life and was working excellently - though a bit dim so I figured I will have to replace the light itself before long. Anyway, long story short: After about 8 hours of working, the screen blanked out again. Just as before, I can see the screen is working if I use a flashlight. Now at this point it looks like I have to order the light anyway....... But..... Since the screen went blank so soon, is it the light? Is it the inverter? Or possibly something else? I know the Nvidia card is fine because it drives by supplementary monitor with no issues. So the issues are entirely with the laptop monitor/display. A: As CCFL lamp is wearing out, it requires higher and higher striking voltage from inverter, until it finally reach the point which overload the inverter and damaged it. Then, You need to replace CCFL lamp and inverter at the same time.